Timeshare Exit Team: 5 Ways We Are Here For You When You Need Us! Buying a timeshare is easy, getting rid of a timeshare seems nearly impossible. If you are trying to get out of your timeshare, you need our timeshare exit team. We are here for you when you need us, and we can help you get a timeshare cancellation. Read on to find out more about our services and why we are the right help for you! When you buy a timeshare, you aren’t buying an actual product. You are buying into a fantasy, a dream of a lifestyle. A lifestyle based on relaxation and luxury. You are essentially buying your way into the vacation cool kids club. This dream that you were sold can quickly turn into a financial nightmare. Between maintenance costs and other fees, your timeshare can make you broke. If you cannot afford your timeshare or want to figure out how to get rid of a timeshare for any reason, you need to do a timeshare cancellation. A timeshare cancellation is exactly what it sounds like. You get out of your timeshare contract free and clear. You don’t have any negative equity, you don’t owe the timeshare company any extra money, and you get to walk away from your timeshare without ruining your credit or going into foreclosure. If you are considering a timeshare cancellation, you need our timeshare exit team. 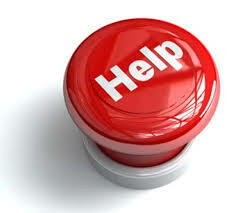 We are here for you when you need us and can help you with your timeshare cancellation. We will be by your side every step of the way. Here are just five of the ways that we are there for you when you need us. We review your timeshare contract. When you first call us, we will give you a complimentary timeshare exit team review of your timeshare contract. We examine the specific terms and conditions of your timeshare contract. No two timeshares are exactly alike, and we tailor our cancellation approach to the language and terms of your timeshare. We are not a one size fits all company, and we don’t want to be. We give you our attention and listen to you. No two customers have an identical story or reason for doing a timeshare cancellation. We listen to you to figure out why you need to get out of your timeshare and we figure out how we can help. We use the specifics from your personal situation to help get the timeshare cancellation that you need. We write a resort authorized cancellation letter. We construct this letter carefully and precisely to ensure that it will cancel your timeshare contract. We don’t cut any corners or take any short cuts. We also take over communicating with the timeshare company on your behalf. You don’t have to beg, borrow, or cry to them anymore. Our timeshare exit team takes over for you, no matter how lengthy of a process it is. We are here for you. We answer our phones all day, every day. Seriously. Our timeshare exit team is here twenty-four hours a day, seven days a week, three hundred and sixty-five days a year. We care about you, and our goal is to help you get the timeshare cancellation that you need. We don’t want you to be stuck in a timeshare that you can’t afford. We are here for you. We follow up. Timeshare cancellation can be a lengthy process. It is very rarely a quick and easy fix. We follow up with your and with the timeshare company. We keep you informed of what is going on every step of the way. You never have to wonder what we are doing or what your money is going towards. We are transparent and here for you. In addition to all these ways we are here for you, we offer a satisfaction guarantee. We work for you. Not the resort, not the timeshare company, you. Your satisfaction is our only concern. If we can’t cancel your timeshare for any reason, you get your money back. Unlike expensive timeshare attorneys who take a huge lump sum up front and then keep it regardless of whether or not they deliver, we work for you. We don’t get paid unless you get out of your contract. We are aggressive and relentless in our pursuit of your timeshare cancellation. Our timeshare exit team cost is competitive and one of the best in the business. 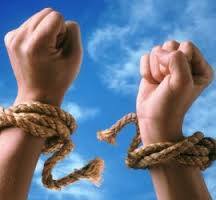 We will get you out of your timeshare and help you get your life back. Call us today to get your timeshare cancellation started. We are here when you need us.